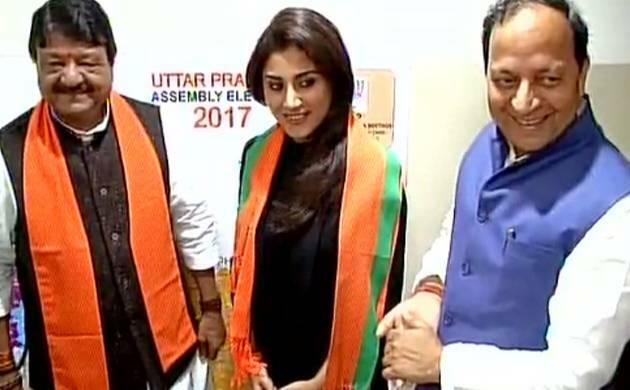 Ahead of the assembly elections in five states, Bollywood actress Rimi Sen has joined the Bhartiya Janta Party (BJP), reports said on Tuesday. Rimi Sen has worked in many Bollywood films including Hungama, Dhoom 2 and Phir Hera Feri among others. After joining BJP in presence of party's National General Secretary Kailash Vijayvargiya, Rimi Sen said, "I am inspired by PM Modi and will fulfil all responsibilities given." Besides Rimi, popular Bollywood actor Sunny Deol is also likely to join the party. Reports suggest that both the actors will fight elections in Punjab on the BJP ticket.